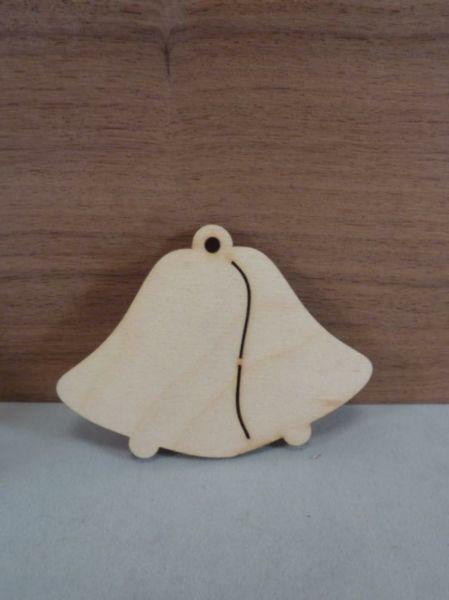 Please Note the mini (2 cm) Double bell shapes are not available with a hanging hole option. 4mm birch plywood blank for wedding and Christmas crafts. 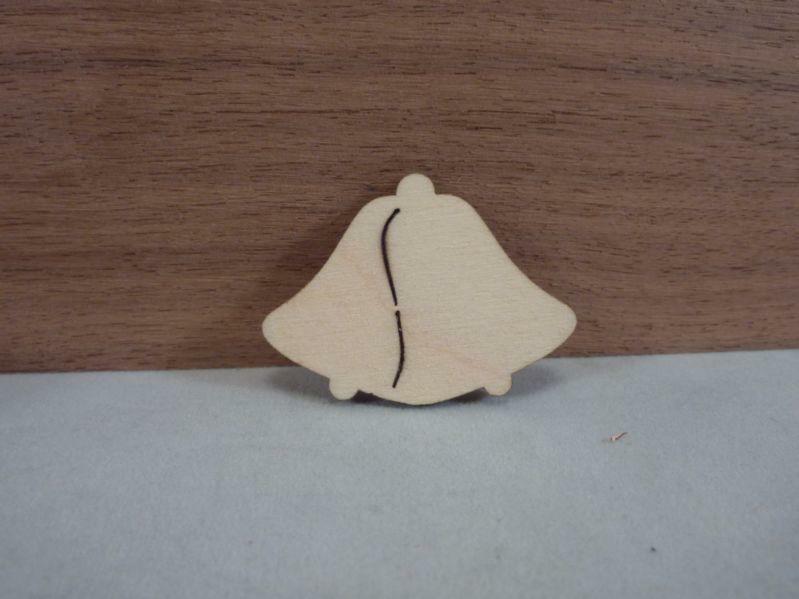 Double wedding/Christmas Bell shapes, laser cut from quality 4mm birch ply wood by us here in the UK. 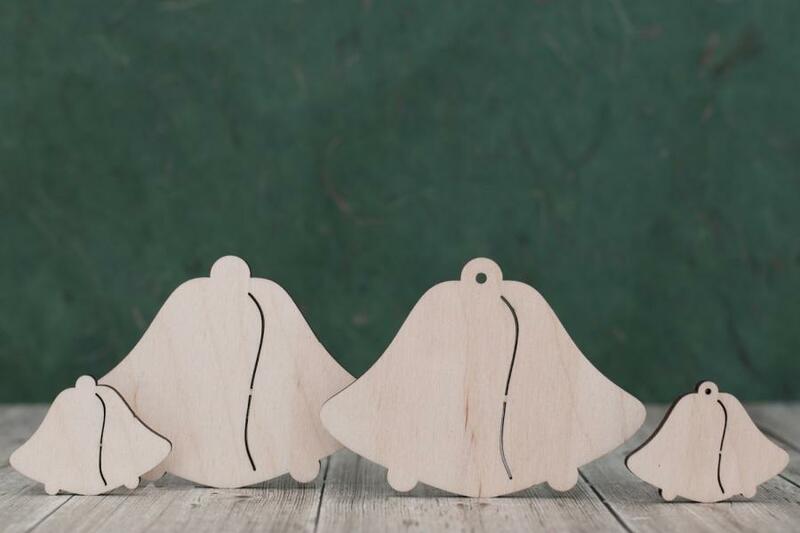 These wooden Bell craft blanks are lightly sanded both sides ready for you to paint or decorate as you wish. Perfect for lots of crafting projects like Christmas plaques, gift tags, wedding favours, "days until our wedding" plaques, personalised hangers and much more.